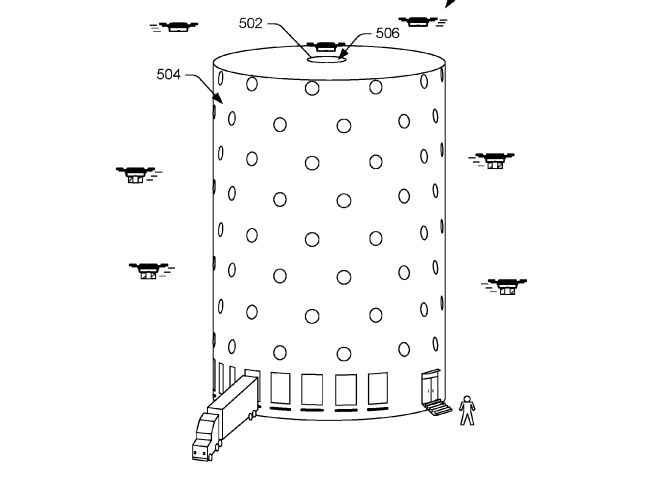 Because the notion of automated flying robots delivering dog food to your doorstep is something straight out of the Jetsons, it sort of makes sense that Amazon has a very retro vision for the towers that could house its Prime Air delivery drones. 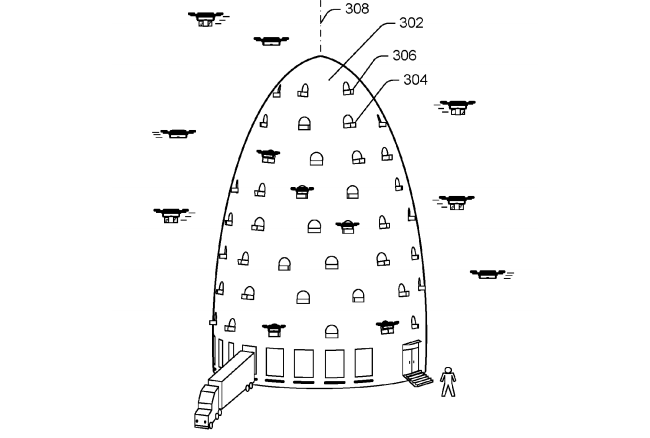 The company notes that unlike traditional fulfillment centers, these towers could have several levels — depending on local zoning regulations — and one or more landing/deployment areas where drones could pick up or drop off packages. 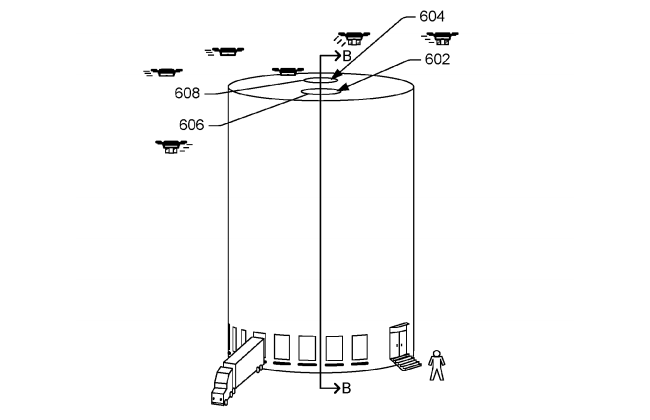 They’d also be servicing sites that would allow drones to charge or get a replacement battery, get inspected or serviced, or other operations that might be required between flights. 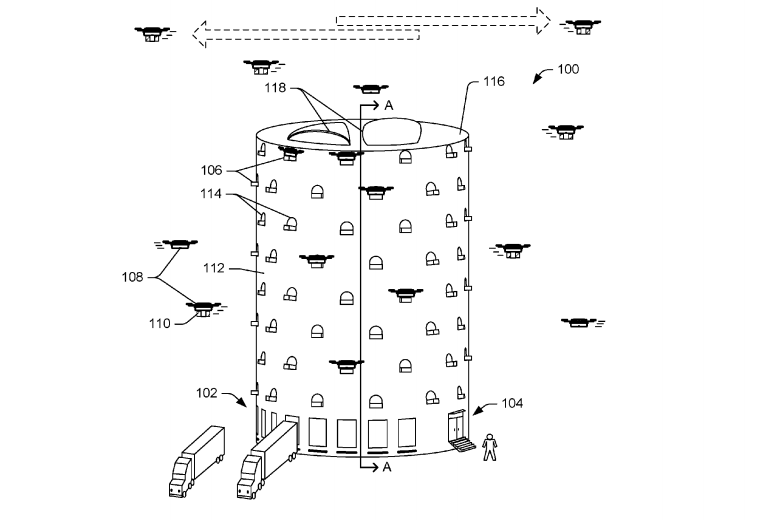 These centers could possibly support old-fashioned deliveries by common carriers using ground vehicles, and include a self-service space where customers could pick up items stored in lockers or other temporary storage. 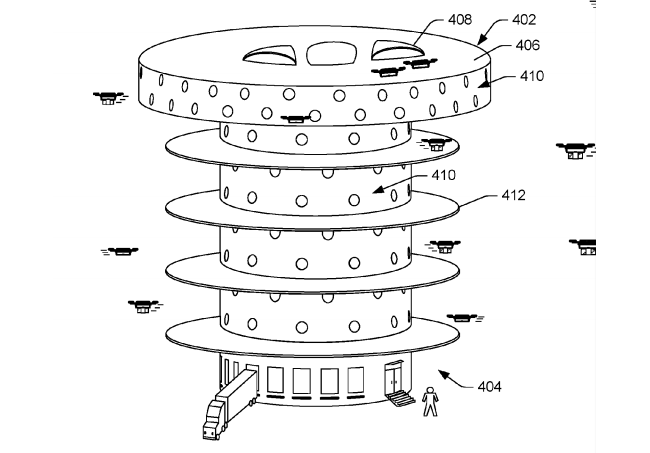 Amazon claims in its patent that the ML fulfillment center could be used to complete hundreds or thousands of orders each day using UAVs for at least some of those orders. We’re still a long way from the reality of drones winging their way homeward across a city skyline, of course, as the Federal Aviation Administration’s rules for remotely operated UAVs .